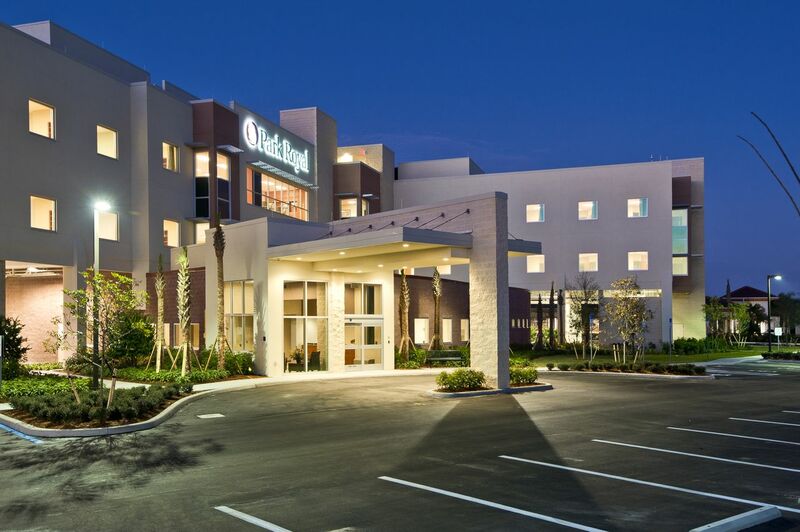 Park Royal Hospital in Fort Myers, Fla., has earned The Joint Commission’s Gold Seal of Approval® for accreditation by demonstrating compliance with The Joint Commission’s national standards for health care quality and safety in hospitals according to Michael Evans, Chief Executive Officer. The accreditation award recognizes Park Royal’s dedication to continuous compliance with The Joint Commission’s state-of-the-art standards. This accreditation replaced the hospital’s former accreditation by Det Norske Veritas Healthcare, Inc. (DNV). Park Royal Hospital underwent a rigorous unannounced on-site survey in March. A team of Joint Commission expert surveyors evaluated Park Royal for compliance with standards of care specific to the needs of patients, including infection prevention and control, leadership and medication management. Since opening as a 76-bed facility in 2012, Park Royal has expanded to 103 licensed beds serving the mental health and substance abuse treatment needs of our community by providing both inpatient and outpatient services, including intensive outpatient day treatment programs. Park Royal accepts most insurance plans including Medicare and managed Medicaid plans, and is open for inquiries 24 hours a day, seven days a week. For more information, call 239-985-2760 or go to www.parkroyalhospital.com. Founded in 1951, The Joint Commission evaluates and accredits more than 20,000 health care organizations and programs in the United States, including more than 10,600 hospitals and home care organizations, and more than 6,600 other health care organizations that provide long term care, behavioral health care, laboratory and ambulatory care services. The Joint Commission is the nation’s oldest and largest standards-setting and accrediting body in health care.